What happens when an artist decides to end her career, suddenly? Can we ever look at her creations again, like we might have if she had grown old with them? Can we forget the ending and just look at the work? I guess not. Premiering recently at the Film Forum in New York City and then Providence, Nashville, Chicago, Seattle and other cities around the country is the film THE WOODMANS. It’s the ninety-minute story of the photographer Francesca Woodman, her life and nine years as a photographer as recounted by her parents, George and Betty Woodman and her brother Charles as well as childhood and longtime friends, and by Woodman via videos and diaries. Her parents expressed shock after having children when is sunk in they had to take care of them for much of their lives when all they really wanted to do was make their art. First child, Charles, was constrained by many rules and uncertainty as many first children are. Francesca, as the second child was given much more freedom. There are indications that she might have preferred more rules than less. 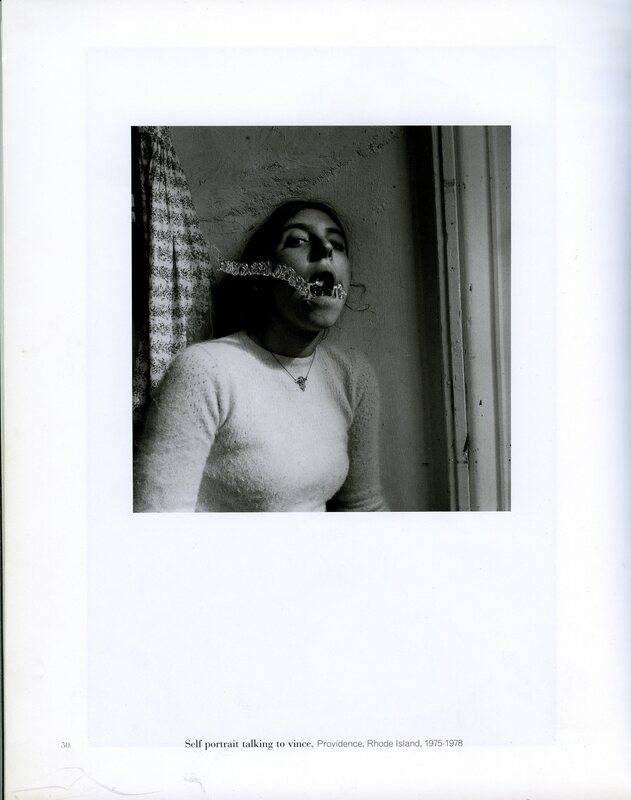 Francesca Woodman was a driven artist. It seems by the time she arrived at Phillips Academy in Andover, Ma. From Boulder, Co. she already knew what she wanted to create with the 6×6 camera given to her by her father. Her subject was almost always herself but as she progressed, her friends, sometimes undistinguishable, posed as well. 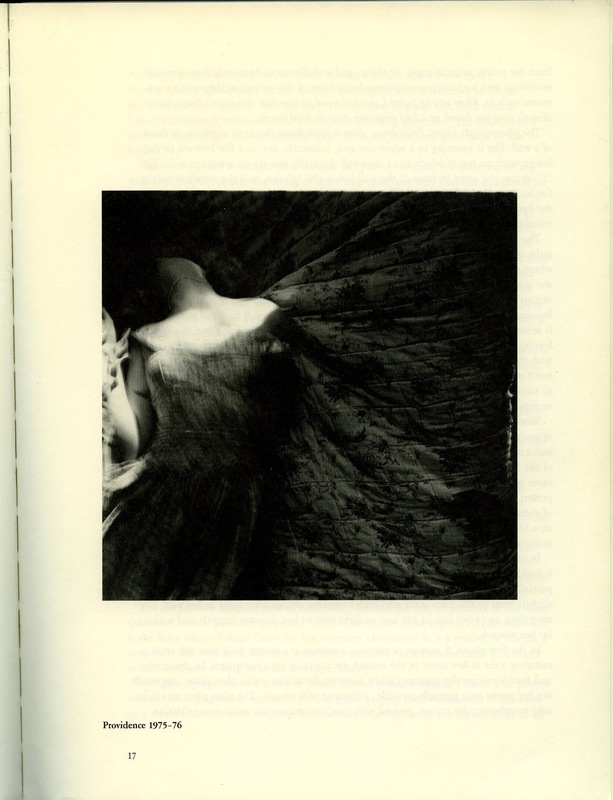 Since a 1986 essay by Abigail Solomon-Godeau about the artist as feminine/feminist in the world of the male gaze, Woodman’s images have most often been looked at in the shadow of this interpretation. What drove her, relentlessly, to make her images? Was it to show her parents she could succeed too? Was she born with her spirit, as Diane Arbus was? These are hard questions to answer. Quite often Woodman chooses to record her body without the confinements of clothes that was not uncommon in photography degree programs in the United States in the 1970s. It was not an anomaly. She stated it was easier to use her self – she was always available and knew how to pose. Is it simply narcissistic to turn the camera on yourself? What was she telling us about ourselves and about her? We should try to just look at the photographs and forget what has been said. This could be difficult but is necessary. 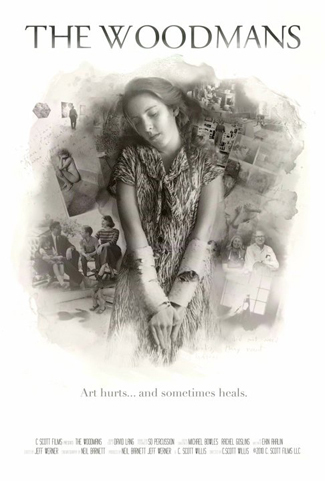 To me the film seems more about the parents and their relationship with their daughter who was pushed by demons or saints to make the art she did. I don’t think we can ever know the secrets that drove her – secrets everyone has, our unknown side. What we do have are the images to respond to – what they say about young women artists coming of age in our society of late 1970s when very few galleries or museums considered photography. If there is anything to fault the film about it is the lack of more information about what she read and looked at – what inspired her from the day she could look and read in an artistic family. The arrival of film, The Woodmans, is a good time to tell readers there is a mostly unknown goldmine of Woodman material in the ICP Library and available for study. In 2006 her parents donated a set of CDs of her images, artist books and a handful of the letters sent to her parents. This is an unprecedented opportunity to understand her vision, directly, without the interference of external opinions and wayward assumptions. Robert Stevens – ICP faculty. Robert Stevens is the former editor, Life Picture Collection; former international photo editor, Time Magazine; writer; former correspondent, Paris Photo Magazine; faculty, School of Visual Arts; trustee, W. Eugene Smith Memorial Fund. Robert is also the author of Yvon’s Paris (2010). This entry was posted in Seen and heard, Unpacking the collection and tagged Biography, film, Francesca Woodman, Robert Stevens, The Woodmans. Bookmark the permalink.